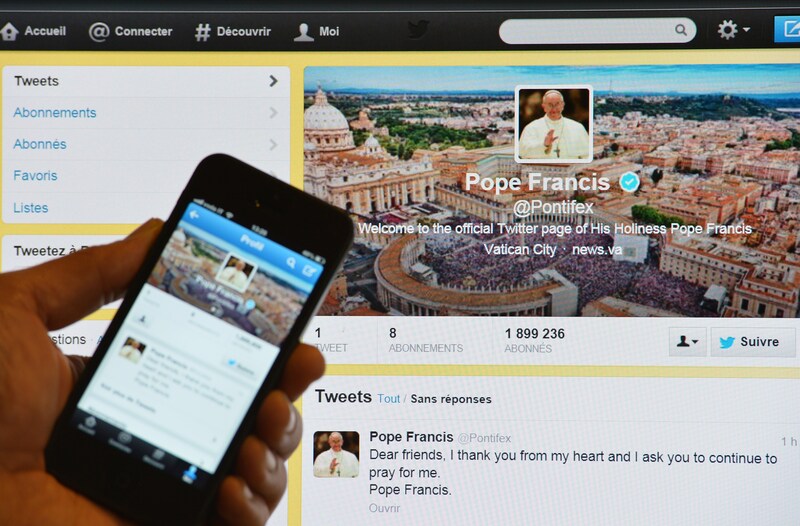 Twitter's Brand-New Polls Feature Lets You Ask Your Followers Anything — Like, Who's Your Favorite Pope, Anyway? Just when you thought there couldn't possibly be more information you needed to learn about your fellow social media users — in the era of TMI, you know what your distant cousin ate for lunch today and that your former colleague plans to binge-watch House of Cards this weekend — you get thrown for a loop. With the release of Twitter's Polls feature, you'll be getting boatloads of information about your followers' thoughts and opinions, but with the very important distinction that it's info you're actually interested to know. The feature, which begins rolling out Wednesday, lets you poll your followers on pretty much anything. Want to know if Hillary Clinton was the clear winner in the Dem debate or Bernie Sanders under-dogged his way to a win? Need to find out if your followers believe just as much as you do that Bunheads deserved a second season to prove its worth alongside Gilmore Girls? Or are you just generally curious to find out if people cherish their Saturdays or their Sundays more? Twitter is so graciously allowing us to announce to our followers exactly what we want their opinions on, and then get the final feedback compiled neatly in data form. For poll creators, it’s a new way to engage with Twitter's massive audience and understand exactly what people think. For those participating, it’s a very easy way to make your voice heard. There are a few ground rules to using the Polls feature, though. Your poll can only include two choices and is only live for 24 hours. If you're not on the poll-creating end, but the voting end, your vote won't be shared publicly. And once the poll is closed, everybody who took part in the poll gets a notification with the final results. While social media sites like Twitter and Facebook have long been watering holes for debates on everything from understanding the #BlackLivesMatter movement to the introduction of Pumpkin Spice hair, Polls allows you to find where your followers stand in a fast and uber controlled setting. Herein lies a downside: if you're interested in using a random sample about the question at hand, you'll have to go beyond the bounds of the Polls feature and rally up POVs that aren't your followers'. But to those who want opinions in the social media sphere without the often-adjoining emotionally charged lecture, Polls may be the epitome of short and sweet. Sounds like TMI evolved into JTRAOI (that's Just The Right Amount Of Information).